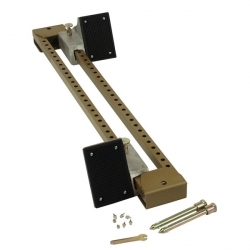 The Champion Sports All Weather Starting Block is designed for sure starts on cinder and all weather tracks. A spring-loaded plunger allows for fast pedal adjustment, and the secure locking pedals have rubber traction pads. Six track spikes are included.